If you’ve arrived at this page looking for help with a swarm then I’m unlikely to be the best person to help. Firstly, I’m almost certainly at work and secondly I’m probably miles away from your swarm. Contact your local beekeeping association – either directly (for example search for “County name BKA swarm” in Google) or via one of the national associations (BBKA, SBA, WBKA) listed in the sidebar – and they will have someone local who can confirm whether they are honey bees and can then arrange to have them collected. The Scottish Beekeepers Association has a simple guide to swarms and how to deal with them. 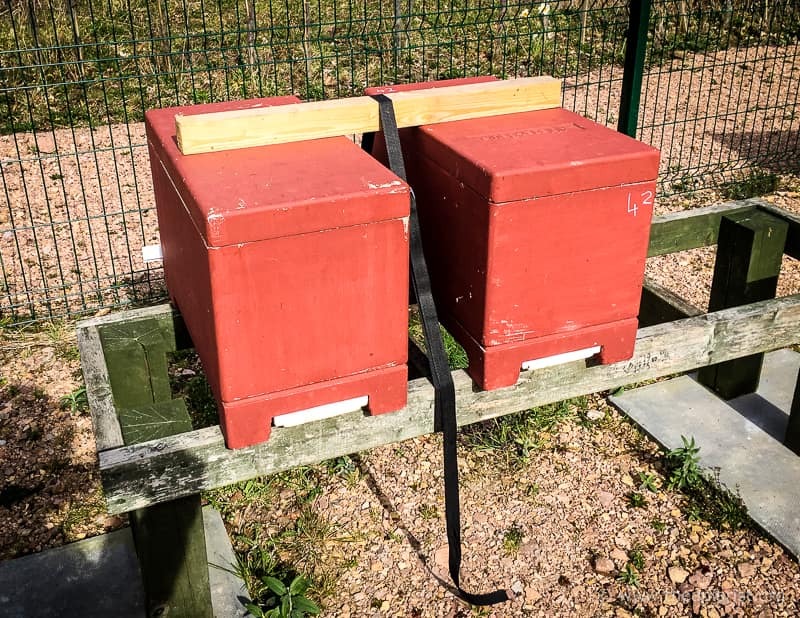 If the swarm is easy to reach safely beekeepers will be delighted to collect it. Have confidence. The bees in swarms are generally very placid – they gorge themselves with honey before leaving the original hive. You wouldn’t choose to pick a fight with a full belly. Enjoy the spectacle. 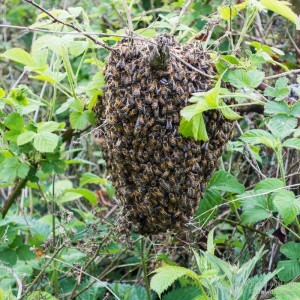 A swarm is a wonderful sight.